The order pack contains all our templates, order form and sizing chart. Fill up the order form with all your players details. Approve the design setup and pay the order. Your order is on its way, you’ll receive it within four weeks. All prices include dye-sublimation printing, with unlimited colors, text, designs. 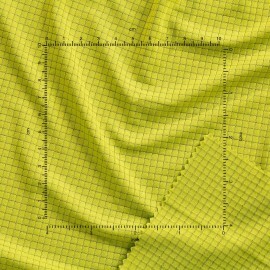 Above prices are related to the SilkyWay fabric, for different fabrics prices write us an email. It’s a printing process where rolls of film, coated with sublimable dyes, are transferred to a receiver sheet by a digitally driven thermal print-head; variations in temperature control the amount of dye that sublimates, thus varying the color intensity. Unlimited colors to choose from. Thousands of colors can be produced with sublimation (even if you choose a 4 color printer). And it doesn’t cost extra to add additional colors to your design. Complete customization! The advantage of digital sublimation printing is that no plates are required, so it is ideal for customizing designs with changing elements such as names, numbers, etc. 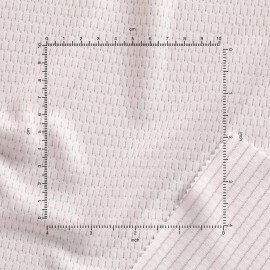 This fabric maximizes the transmission of moisture from the skin to the outer surface of the garment. At the same time the unique structure makes the fabric more breathable and soft, comfort, keeping the fabric and skin dry therefore giving the feeling of health and comfort. Its smoothness enhance the appearance of any artwork and improve the wearability. Chosen by the Italian national teams from 2014 to 2016. Resistex® Carbon comes from laboratories researches at Technofilati, a textile company specialized in producing high-tech yarns for sports, protective and well-being wear. It is a yarn by the unique technical characteristics, consisting of a continuous filament of conductive material based on active carbon and textile fibers. Thanks to Resistex® Carbon a regular piece of clothing can be turned into an ally capable of improving any performance. 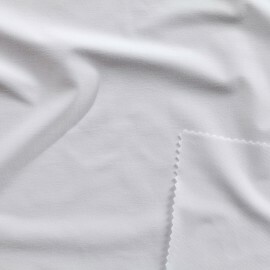 Multifilament polyester fabric with micro-line structure is ideal for high performance sports, both indoors and outdoors and boasts a high degree of resistance and breathability. It increases the efficiency of technical sportswear increasing muscular performances of the athlete: basically, it delays the onset of fatigue during exercise! Bi-stretch polyester made of ultra-light carbon fibre, resistant to wear and tear, embellished by a checked motif and the many colour options available. 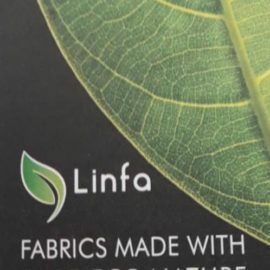 Linfa is our newest fabric, 100% made of recycled polyester! From the amazing Newlife™ project: a unique, complete and certified system of recycled polyester filament yarns coming 100% from postconsumer bottles sourced, processed into a polymer through a mechanical process, not chemical, and spun into yarn completely in Italy, thanks to an exclusive horizontal partnership agreement. The consolidated know-how of Sinterama combined with its ceaseless research towards responsible innovation and its complete and patented process behind this 100% Made in Italy project, make Newlife™ an incredibly flexible platform that allows for a vast number of applications and performances with levels of quality equal to virgin polyester equivalents, but with considerable resource and cost savings for the environment, just to name a few: fashion, sportswear, underwear, technical clothing, workwear, medical garments, outdoor clothes, furnishings, accident prevention textiles. Newlife™ is developed and produced to stand out for design, high performance, high quality and total respect for the environment. The environmental crisis has reached a critical point. Human activities are responsible for the current situation. Sportswear manufacturing is –of course- one of these activities, among many others. 9UP comes from an old and strong passion to our sport: Ultimate. Our values reflect those of the sport we love: conflict resolution, teamwork, pursuit of excellence, mutual respect. and the joy of support Ultimate players and the growth of the sport”. Yeah, big words.. what do we do practically? We know that our business activity – from powering factory to dyeing shirts – creates pollution as a by-product. now we are going to use a new 100% recycled polyester as the main fabric for our clothes. We were looking for a more sustainable system, one that uses fewer resources, discards less and better protects people’s health. We found an answer in Newlife™ : it’s a unique, complete and certified system of recycled polyester filament yarns coming 100% from postconsumer bottles sourced, processed into a polymer through a mechanical process, not chemical, and spun into yarn completely in Italy. Using recycled polyester lessens our dependence on petroleum as a source of raw materials. It curbs discards, thereby prolonging landfill life and reducing toxic emissions from incinerators. It helps to promote new recycling streams for polyester clothing that is no longer wearable. And it causes less air, water and soil contamination compared to using non-recycled polyester. Staying true to our core values during these first years in business has helped us create a brand we’re proud to run and work for. Our new focus on making sustainable products allows us provide a better and fairer service to the Ultimate community. I would like to thank you for the respectful process, to pay attention to be very professional, nobody around came back to me with a mis-impression, a bad cut or a size problem or anything. For that, on a big order like that, thank you. The team was very satisfied with the jerseys! Just to sum up some of the impressions, I’ve been told that “it’s the softest jersey I’ve ever had”, “it’s so light and comfortable”…So yeah, thanks! Everything looks wonderful as always. Thank you for your great work! The kits are fantastic. We received so many compliments at Burla. You guys did an amazing job, thank you!!! A big thank you for your job, we are super satisfied with our current jerseys. I’ve just picked up the tank tops, and they look absolutely amazing, everyone loves them! We will definitely be ordering from you again, and 100% recommend you to people. They look amazing, fantastic work by the design team to create exactly what we wanted, and the quality of the tops themselves is excellent too, would highly recommend to anyone! Shirts and shorts looked great! We are very happy with your service and will definitely work with 9UP again! In the name of my entire team would like to thank you for all your efforts and this cool outfit you were helping me to get set up. […] So once again thank you for finishing this amazing project. We love the jerseys. Excellent communication, 9up makes you feel that they give 100% of their energy to delivery you the products you exactly want. Their products are soft on the skin and lightweight. Thank you very much, 9up! Good quality, fair prices, amazing design and lovely crew make 9up unique!! Go for it! Ottima qualità, servizio eccellente e nessun problema di consegne per la mia squadra in Belgio! Materiale e grafiche al top! La migliore in italia senza ombra di dubbio! Ogni divisa e richiesta avanzata è stata eseguita in modo impeccabile, inoltre sono molto disponibili. Mi sono trovata benissimo, sono molto gentili e disponibili. Mi piace molto l’abbigliamento sia per il tessuto che per la fantasia. Bravi! Nice fabrics, cool art works and friendly staff: great to work with them! © 2018 9UP Ultimate. All rights reserved C.F. - Partita I.V.A. - N° 02459730137. Moreno Design.